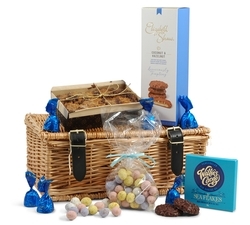 We have a wide selection of Easter hampers and gift towers, combining the essential chocolate Easter eggs with other treats like marzipan, fruit cake, gourmet biscuits and premium chocolates. 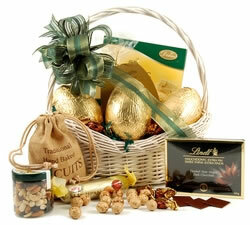 Check out our Easter Bunny Ears! 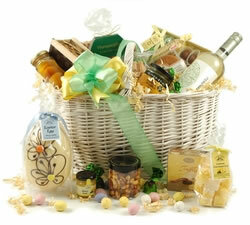 Okay so we may not be having the best fashion day but what we do have are a gorgeous range of Easter hampers. 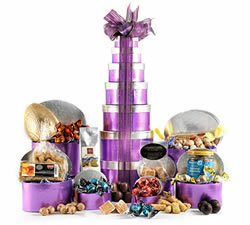 Easter is a wonderful time for families and friends to get together and indulge in some delicious treats. 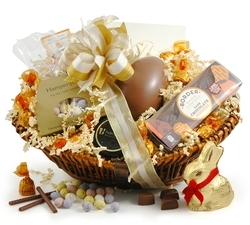 At Hamper Gifts we have created a whole selection of Easter Hampers, Gift Baskets and Gift Towers combining the essential Easter Egg with plenty of other sweets, treats and tasty bites. 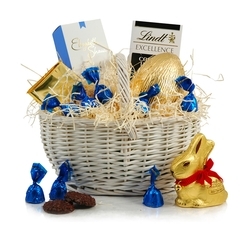 Our Easter Treats Basket contains three large milk chocolate eggs, mini golden eggs, chocolate-coated marzipan, maple syrup cookies and more! 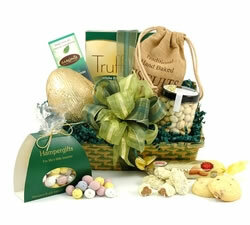 The Bumper Easter Selection is a huge basket with a mixture of sweet and savoury goodies for the whole family to enjoy. 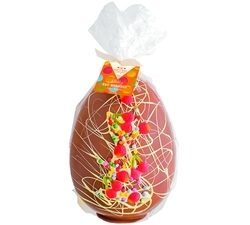 So why not hatch a plan to choose one of our eggsquisite range? 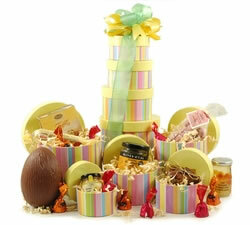 All of our fantastic Easter Hampers are lovingly packaged by hand, ready for your loved ones to enjoy! 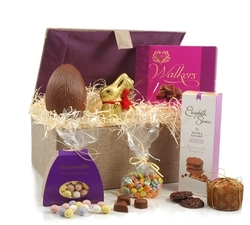 Easter 2019 falls on Sun 21 April and our order cutoff is Tues 16 April.